I love drawing birds. 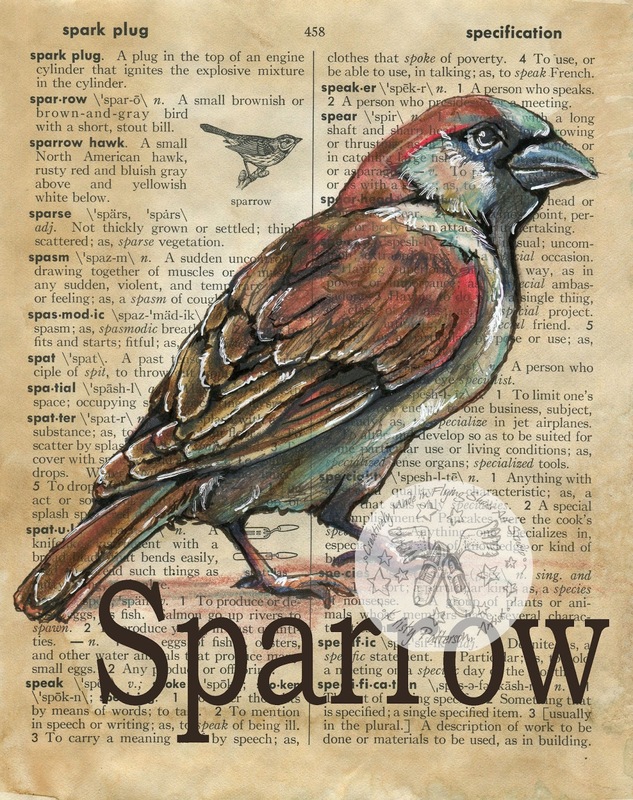 This whole series of dictionary drawings began with a bird and I still enjoy studying and drawing them. Years ago I planted ivy outside my old house and there are always lots of little sparrows perching and playing in it. My house cat spends hours sitting in the window watching the birds come and go. I like to watch, too. Sparrows are not considered to be very impressive, or important birds but if you take the time, you can see all kinds of personalities and attitudes from them. I have always liked to take an everyday thing and give it a little glory in a work of art. So here is my tribute to this little bird.